The Honda Pilot has long been the choice for a midsize crossover vehicle, so it’s no surprise that the 2013 Honda Pilot remains at the top of this list. With room for as many as eight occupants, a used 2013 Honda Pilot has the interior room you need in a vehicle, whether for family vacations, business trips or loading cargo. Alongside this is top of its class fuel economy, so you can get where you’re going faster and farther than before. A 2013 Honda Pilot used boasts a V6 engine with 250- horsepower, creating a comfortable smooth ride wherever you go. Handling of the vehicle is crisp and sharp, and still safe in snow or mud. No matter if you’re part of a family looking for an alternative option to a bulky minivan, or a crossover vehicle that won’t break the bank while you’re at the pump, a used 2013 Honda Pilot should be the top vehicle on your list. 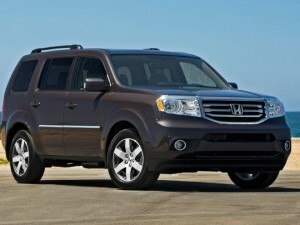 We are actively attempting to source used 2013 Honda Pilot models. Please fill out the form below and we will find one for you.